The Turnbull government says allegations that members of Australia’s elite special forces committed war crimes in are being taken seriously, after a confidential report was leaked to the media. Labor says it is seeking a briefing from the government about the “deeply concerning” allegations, and it wants the report to be made public to the extent possible. on Friday that sources within Australian special forces had disclosed to internal defence investigators that soldiers had used “unsanctioned and illegal application of violence” during operations in Afghanistan, showing “disregard for human life and dignity”. The allegations of war crimes are now the subject of a separate investigation by the New South Wales judge Paul Brereton into the activities of Australia’s special forces in Afghanistan between 2001 and 2016, Fairfax reports. The Brereton inquiry will recommend on how the allegations are to be dealt with. The Liberal MP Andrew Hastie, a former SAS solider, told the ABC Australians should take the Fairfax report seriously. “That report’s been written by Chris Masters and Nick McKenzie, both of those journalists are exceptional investigative journalists,” he told ABC radio. The internal defence investigation, which prompted the Brereton inquiry, was conducted by the defence department consultant Dr Samantha Crompvoets. Crompvoets’ report details “problems deeply embedded in the culture” of Special Operations Command, with poor coordination between its two key units, the Special Air Service Regiment and the Commandos. The foreign minister, Julie Bishop, said the government was taking the allegations seriously, but it would be inappropriate to comment because they were subject to investigation. “The SAS is in my electorate, they are regarded of some of the finest men prepared to put their life on the line in conflict situations to defend us and our freedoms, they are one of the finest fighting forces in the world,” she said. The opposition defence spokesman, Richard Marles, said Labor was seeking a briefing from the government on the report. “We will also be seeking, subject to national security considerations, as much of this report as possible be brought to the public domain,” he said. “Information in a report as significant as this should not be coming to light via leaks to newspapers. We keenly [also] await the completion of the Brereton report. Amnesty International Australia’s campaigns manager, Tim O’Connor, said he was “extremely concerned” by the news reports. “The reports, as well as Amnesty’s own research, highlight the urgent need for transparency around the ADF’s operations in conflict zones, and a timely and thorough investigation of its involvement and behaviour,” he said. “At the end of March, defence made welcome but unacceptably slow admissions of ADF responsibility for civilian deaths in Mosul. “And just this week, Amnesty published our investigation into the war of annihilation in Raqqa. 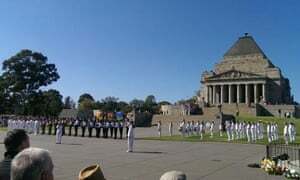 That had devastating consequences for the civilian population, and the ADF’s role in it is still unclear. 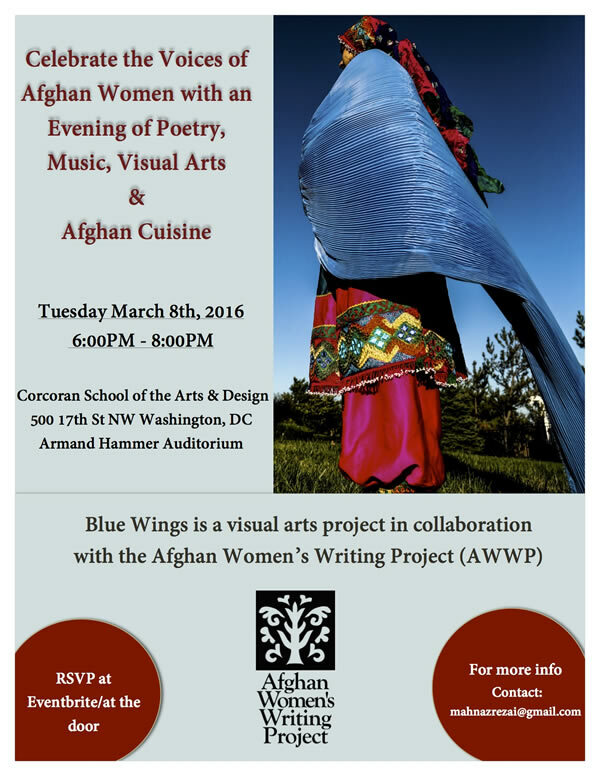 Celebrate #IWD2016 with Afghan Women’s Poetry, Music, Art, and Food in Washington, DC!